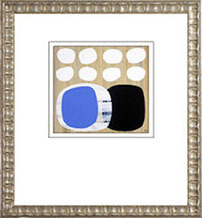 Art Frame Expo is the source for your every day framing needs. Beautify your home or office with hundreds of pre-framed pictures ranging from original paintings, limited editions, fine art posters, classical to modern. 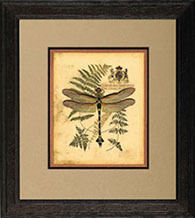 Our well trained professional staff will help you display your unique tastes when custom framing your pictures. Partnering with hundreds of designers and corporate accounts, we always have the latest products, styles and designs. We use quality global brands such as Larson Juhl, Monarch, TrueVue, and Arquati Mouldings. Serving Dallas since 1987, we have emerged as one of Texas' leaders in the framing industry, establishing over 30 stores found throughout Texas, Arizona, and Nevada. Our foundation is built on quality, service and guaranteed lowest prices! Providing consistent quality and service. We will find the right frame for you. 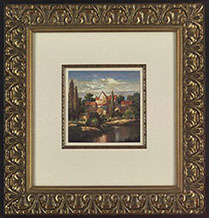 The right frame can dramatically enhance your artwork as well as the room it is showcased in. We at Art Frame Expo take tremendous pride in our quality and craftsmanship, choosing only to use the finest materials to help beautify and preserve your artwork. We can put a frame around your unique tastes. 10% off all competitor's estimates. We will price match and then take off an additional 10%. No need to wait for a sale. We are constantly striving to provide the best quality and prices. All framing is done in house, that means we are able to provide same day service for those last minute situations! No job is too large or too small, we will meet your deadlines and schedules without compromising our standard of quality. For those larger projects we offer volume discounts with incomparable prices. If your projects has anything to do with picture framing we are here to serve you and make your project easier. Add that professional touch to your presentation, ceremony or sporting event by letting us put the finishing touches. Our history and volume gives us an advantage over our competitors allowing us to help you save more. For over 15 years, Art Frame Expo has provided thousands of businesses with a broad array of personalized services.